We all know that cereal packaging is designed to attract the eyes of your five year old as you drag him down the breakfast aisle of the supermarket. Of all the aisles in the grocery store, none is more captivating to tiny eyes than the the one with row upon row of garish cereal boxes. But, what if the cereal boxes could light up and blink on the shelves? How much worse (or more effective, depending on your point of view) would that be? A company called eCoupled has developed a system for wirelessly transmitting electricty from store shelves into consumer packages. 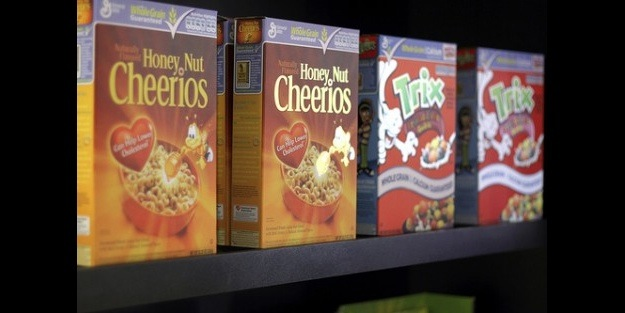 Their demo at CES involved cereal boxes like Trix and Honey Nut Cheerios that glowed and flashed to attract consumer attention.